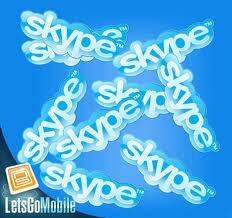 Skype has millions of users worldwide but the figure is constantly growing. The VOIP application will now be updated to include extra support for Nokia mobile and smartphones. photo or contacts, navigate and set their mood message. "The app is easy to share just by recommending it to other friends with Symbian handsets." Previously Skype was mainly available on Symbian phones but not necessarily models by Nokia. However the “Skype for Symbian” upgrade supports 31 different Nokia phones including the N8, E5 and C7, according to the Skype blog. Reaction to the upgrade has been favorable so far with eBay alone comenting that the app provided cystal clear sound, even if you have a slow internet connection. The Skype app for Nokia has also been updated so that the interface fits on larger screens. The download is free from the Skype site. 0 Response to "VoIP via Skype now available on Nokia"
VoIP over 4G in 2011?